Aid Watch [France] Founded in 2003, Aid Watch was created by concerned citizens of the Institute of Research for Development, the University of Montpellier and the Institute of Political Studies in Paris. This website was set up to address the percieved incomplete and disorganized state of research of the humanitarian movement and humanitarian aid in conflicts in France and create a database of NGOs. Canada’s Human Rights History. Dedicated to the documentation of the history of human rights in Canada, this site includes histories of human rights activism, human rights law, the Gouzenko Affair (1945-46) and the October Crisis (1970). The site also provides regular updates on research funding and scholarships, conferences, new resources, publications, research centres and initiatives such as the Canadian Museum for Human Rights. Canadian Association for the Study of International Development The Canadian Association for the Study of International Development (CASID) is a national, bilingual, interdisciplinary and pluralistic association devoted to the promotion of new knowledge in the broad field of international development. CASID is a membership-based organization. Canadian Committee on Migration, Ethnicity and Transnationalism The aim of CCMET is to foster and promote the historical study of migration, ethnicity and transnational issues, to facilitate collaboration in the field, and to sponsor sessions at the annual conference of the Canadian Historical Association and other appropriate meetings. Canadian International Development Platform The goal of the Canadian International Development Platform is to leverage open data and big data, to enhance policy relevant analysis of international development issues, and to engage Canadians on development issues by grounding discussions in the best available evidence. Canadian Research Institute on Humanitarian Crisis and Aid The mission of the Institute is to contribute to research and reflection on crisis and humanitarian action, by promoting dialogue and exchange between academic researchers from different disciplines, experts and practitioners; to actively participate in public debate with the media, the public and stakeholders; and to support the development of policies and better humanitarian practices. CRASH: Academic groups for studies and analysis of MSF. Under the auspices of the Fondation Médecins Sans Frontières, the Centre de Réflexion sur l’Action et les Savoirs Humanitaires (CRASH) is a unique structure in the world of NGOs. Its purpose is to inspire debate and critical reflexion on field practices and public positions, in order to improve the association’s actions. Disaster History, @disasterhistory, launched in October 2015 [Manchester, UK]. Currently focussing on disasters throughout the history of China, this website aims to make the scholarship on disasters and humanitarian crises accessible and available to the public. Disaster History aims to serve as a forum of collaborative work and data-sharing for researchers around the world. History of International Organizations Network [Geneva]. This platform aims at facilitating the exchange of information between researchers, archivists and other people interested by the work on the history of international organizations. HION aims to unite the many researchers working on the history of international organizations and promote collaboration between researchers, archivists of international organizations, and international civil servants, particularly those in charge of institutional history projects. History of the League of Nations Network. The history of the League of Nations is currently undergoing a renaissance. This network provides the opportunity to trace developments in this fast-paced and emergent field, and for scholars to exchange their work and ideas. The collapse of the bi-polar world order in the late eighties, combined with the emergence of the field of global history and the opening of key archives, prompted academics and policy-makers alike to return to the League in order to see how this earlier international organization sought to address problems of geopolitical competition and transnational risk that are similar to those we face today. International Humanitarian Studies Association. The IHSA aims to enhance the alignment between knowledge, policy and practice in resolving humanitarian crises. Humanitarian studies concerns the ways in which humanitarian crises originate and evolve, how they affect people, institutions and societies, and the responses they trigger. 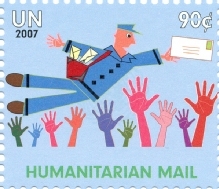 With a broad range of interests including the causes, dynamics, and effects of humanitarian crises, policies and practices of disaster preparedness and early warning, and legal issues pertaining to humanitarian affairs, the IHSA aims to strengthen and advance a global network of universities, specialised research centres, inter-governmental and non governmental organisations in order to enhance a better alignment between knowledge, policy and practice in resolving humanitarian crises. The IHSA can be contacted at info@ihsa.info. LAWG: Hay Camino History Project. Initiated in 2014 by former members of the Latin American Working Group (LAWG), this project documents LAWG’s history and contributions. Based in Toronto, Canada, LAWG worked on Canada and Latin America solidarity research and action for more than 30 years. Despite being a small non-governmental organization with limited resources, LAWG was a powerhouse of analysis of events up and down the Americas, of social movements, Canadian corporate impacts, foreign aid, political initiatives and Canadian government policy, as well as a catalyst for solidarity linkages with many struggles in Latin America. MSF Speaking Out. Part of Médecins Sans Frontières, these Speaking Out case studies were created as part of the MSF International Council’s desire to provide reference documents on “temoignage”/”advocacy”. These documents are designed to be straightforward and accessible to all and to help volunteers understand and adopt the organisation’s culture of speaking out on issues. Online Atlas on the History of Humanitarianism and Human Rights [Germany]. Jointly published by the Leibniz Institute of European History and the Centre for Imperial and Global History at the University of Exeter as part of the Global Humanitarianism Research Academy (GHRA), hosted by the Leibniz Institute of European History. Visual Histories of Canadian Aid to Refugees and Displaced People Abroad [Canada]. A virtual exhibition of Canadian aid services built by Sandrine Murray in association with the Canadian Network on Humanitarian History (CNHH) and funded by Migration & Diaspora Studies at Carleton University in Ottawa, Canada.